Timeline: Women in Space Hundreds of humans have flown in space. Only 40 women have made the journey -- including Eileen M. Collins, who commands the Space Shuttle Discovery on NASA's historic return to flight. NPR explores the long road that women like her have trod into space. Discovery makes a safe return to Earth, landing at Edwards Air Force Base in California. 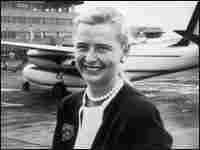 Twenty-five women report to the Lovelace Clinic, the aviation medicine hub that tested the Mercury 7, America's first astronauts. There they undergo the same stringent tests endured by the men. All of the women are professional pilots. Several rank among the most distinguished pilots of their time, and many of them outperform the Mercury 7. Lovelace dubs the 13 who pass the tests the First Lady Astronaut Trainees (FLATs), and they are scheduled for training to become the "Mercury 13." Just days before reporting to the Naval Aviation Center in Pensacola, Fla., the women receive telegrams canceling their training. Two of the women -- Jerrie Cobb and Janey Hart -- campaign in Washington, D.C., to resume the training program. In July 1962, they testify before a special subcommittee of the House Committee on Science and Astronautics, but the panel decides that training female astronauts would hurt the space program. The FLATs never fly in space. 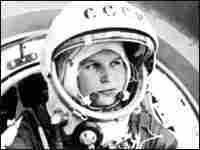 Russian cosmonaut Valentina Tereshkova becomes the first woman in space. She spends more time in space than all of the astronauts of NASA's Mercury program combined. During nearly 71 hours aboard the Vostok 6, she circles the Earth 48 times. Nineteen years pass between this historic flight and the next spaceflight by a woman. Russian cosmonaut Svetlana Savitskaya becomes the second woman in space, serving on a Soyuz mission to dock with the Salyut 7 space station. 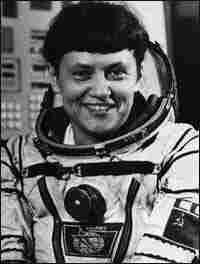 However, she is perhaps best known for her second Soyuz mission, in 1984, in which she became the first woman to perform a spacewalk. 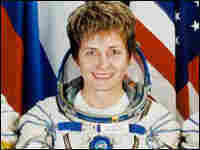 She retired from her work as a cosmonaut in 1993, having spent a total of 19.71 days in space. 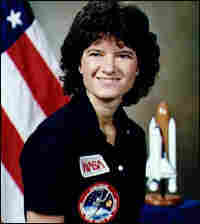 Astrophysicist Sally K. Ride becomes America's first woman astronaut, serving as a mission specialist on the shuttle's seventh mission. Ride flew on two shuttle missions and was in training for a third when the Challenger exploded in 1986, temporarily halting the shuttle program. She served on the presidential commission that investigated the accident, as well as on the panel that probed the 2003 Columbia disaster. Ride left NASA in 1987. She is active in mentoring women in science and technology. Svetlana Savitskaya becomes the first woman to walk in space. On her final spaceflight, she logs almost four spacewalking hours outside the Salyut 7 space station. Kathryn D. Sullivan becomes the first American woman to perform a spacewalk. 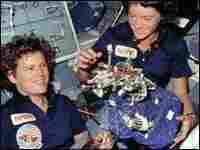 Sally Ride also flew on this mission, making it the first American spaceflight to include two women as crew members. Mae C. Jemison, an engineer and medical doctor, becomes the first black woman in space. On her only spaceflight, she serves as co-investigator on a bone-cell research experiment, part of a cooperative mission between the United States and Japan. 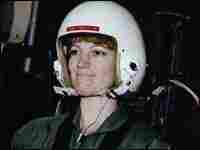 Eileen M. Collins becomes the first woman to pilot an American space shuttle. Four years later, on July 22, 1999, she becomes the first woman commander of a U.S. shuttle mission. Biochemist Peggy Whitson becomes the first resident scientist of the International Space Station. During the six-month mission -- her first -- she installs the station's Mobile Base System, a type of rail car for the station's robotic arm, performs a 4.5-hour spacewalk and conducts 21 experiments in human life science and microgravity science. Eileen M. Collins, the first woman to pilot and to command a NASA space shuttle, commands Discovery for NASA's first shuttle mission since the Columbia accident in 2003.